(Quad)Core values. 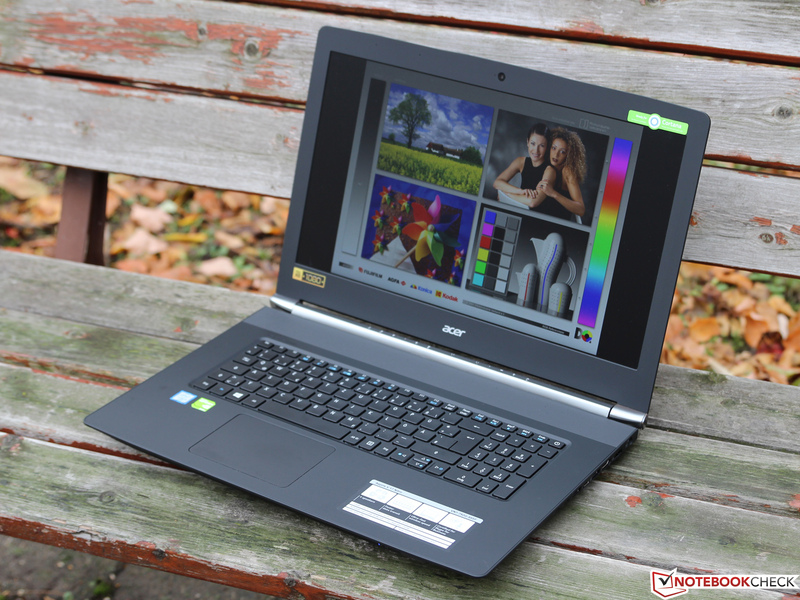 High-end is great, but not always required: even when equipped with a Core i5 CPU and a GeForc 945M GPU, the Acer Aspire VN7-792G offers solid performance for a price that's more than fair. The display isn't too shabby, either. 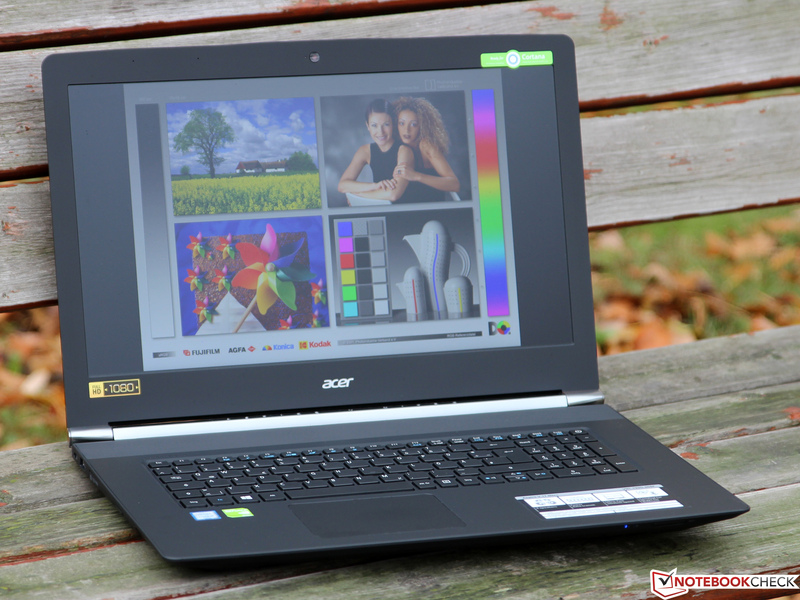 In time for the launch of Intel's new Skylake CPUs, Acer has - more or less comprehensively - updated their successful Aspire Nitro-series as well. 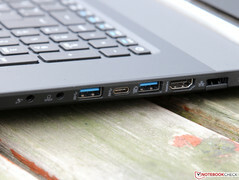 In addition to faster CPUs and DDR4 RAM, the multimedia notebook now also comes with a modern USB Type-C connector and - depending on the model - Thunderbolt 3 support. 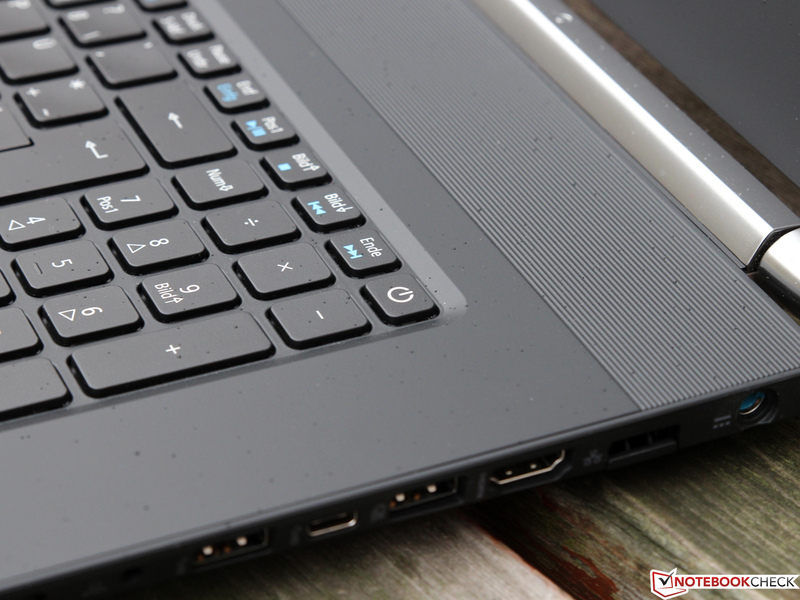 Optionally, the notebook can be configured with a high-resolution 4K display (only Aspire V17 Nitro Black Edition). 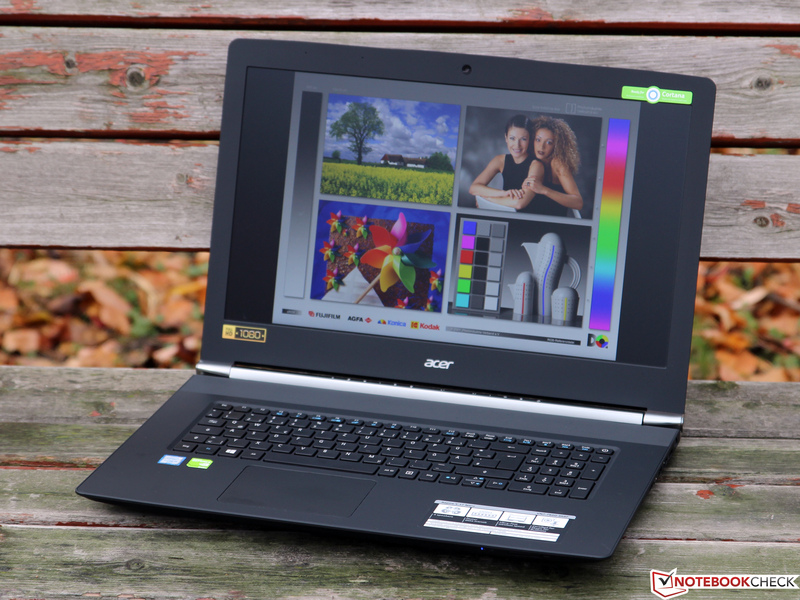 Recently we took an in-depth look at the 15-inch version, but this time around we'll focus our attention at the 17-inch Aspire V 17 Nitro VN7-792G. 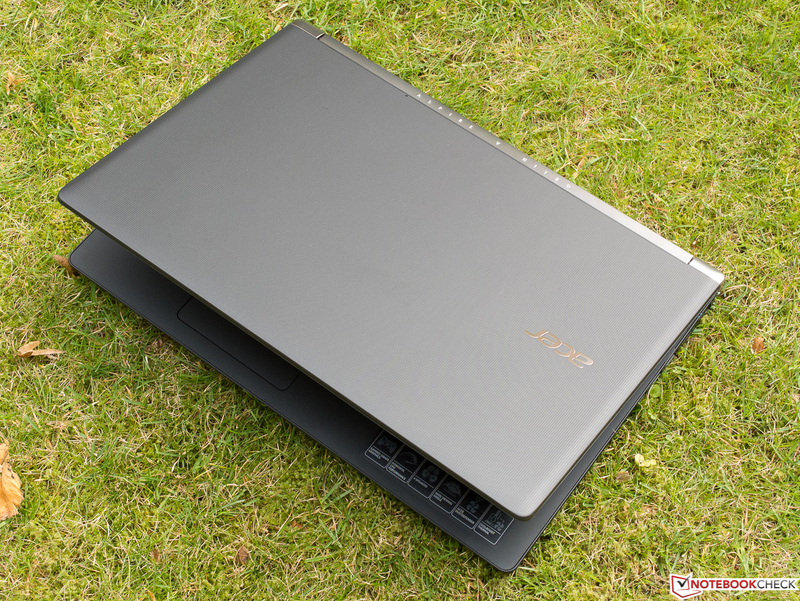 Our review notebook is the entry-level version, which sells for around 1000 Euro (~$1080) and comes equipped with a Core i5-6300HQ quad-core CPU, 8 GB RAM, 1000 GB SSHD hard drive and a dedicated Nvidia GeForce 945M graphics card. 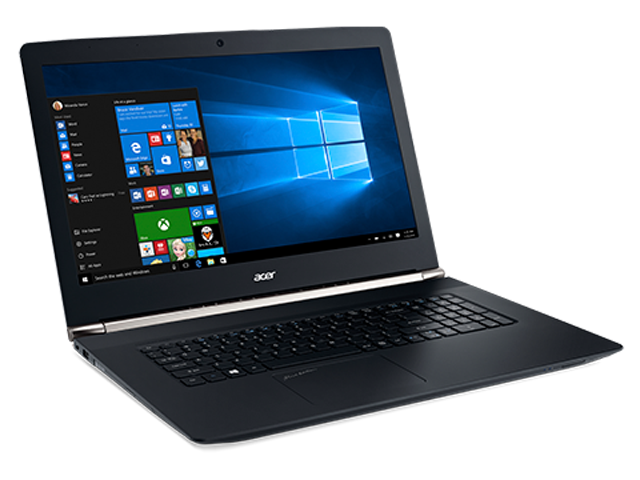 Acer offers additional models in the lineup, which feature i7 processors, more RAM, higher-end GPUs and a 4K display panel. Equipped as such, the price of the notebook rapidly approaches 2000 Euro (~$2160). 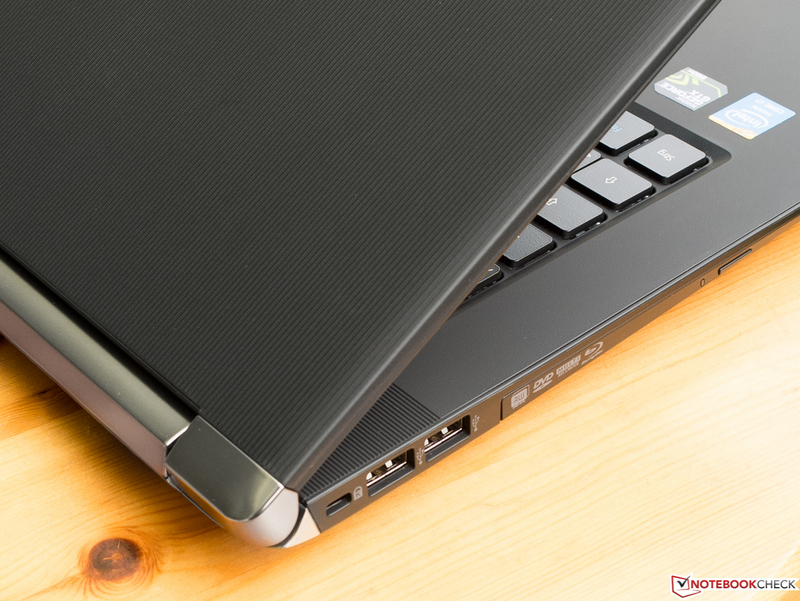 We will compare our V17 to Competitors like the Asus N751JX, MSI GP72 and Lenovo Y70. Since the differences to the predecessor are marginal, we won't revisit the sections dealing with the chassis, the connectivity, or the input devices. For further information, please take a look at both the VN7-791G and the sister-model VN7-572G, which we reviewed recently. 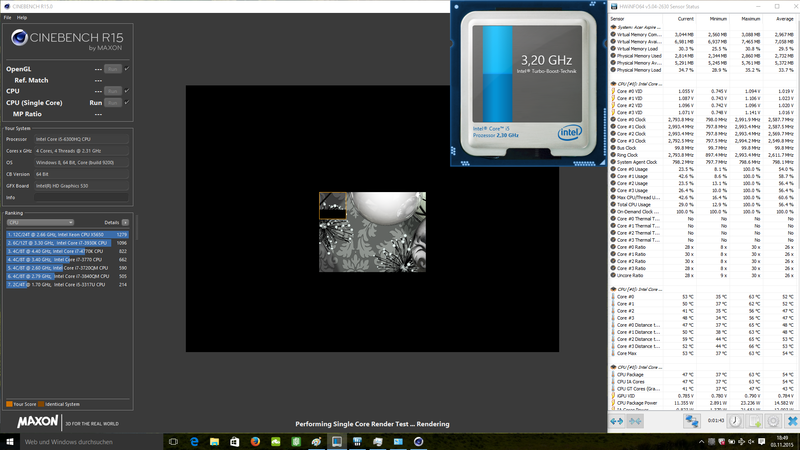 At the first glance, the VN7-791G (Haswell) and the VN7-792G (Skylake) appear to be identical and it requires a closer examination to see the differences. The most important addition is the (reversible) USB Type-C port on the right edge of the chassis, which is starting to appear on smartphones more frequently now. 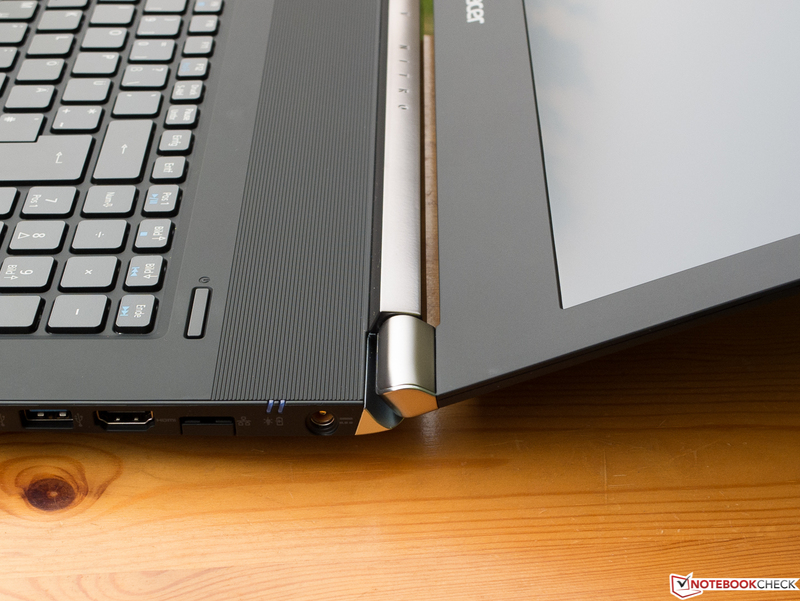 From a technical standpoint, Acer's implementation is simply a regular USB 3.0-port (called USB 3.1 Gen1) with transfer speeds of up to 5 Gbit/s - Intel's Skylake platform does not natively support the USB 3.1 Gen2 standard, which is twice as fast. By the way: those who opt for the more expensive VN7-792G "Black Edition", can also connect Thunderbolt 3 devices to the Type-C USB port. For the sake of completeness we should also mention that Acer omitted one of the USB 2.0 ports on the left side at the same time. It's unlikely that this port is going to be missed by anybody, however. In addition, the keyboard layout has undergone a slight modification (larger left/right arrow keys; power button now integrated into the keyboard) and the status LEDs have changed as well. Since neither changes warrant further explanations we are going to take a look at the display instead. 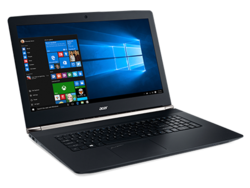 As the name implies, the Aspire V 17 Nitro is equipped with a 17.3-inch display, which offers a resolution of 1920 x 1080 pixels and a pixel density of 127 ppi. In our opinion that's a good compromise between screen real estate and sharpness on one side and readability on the other. The optional 4K panel might have four times the pixels, but without scaling, text and icons are almost impossibly small. 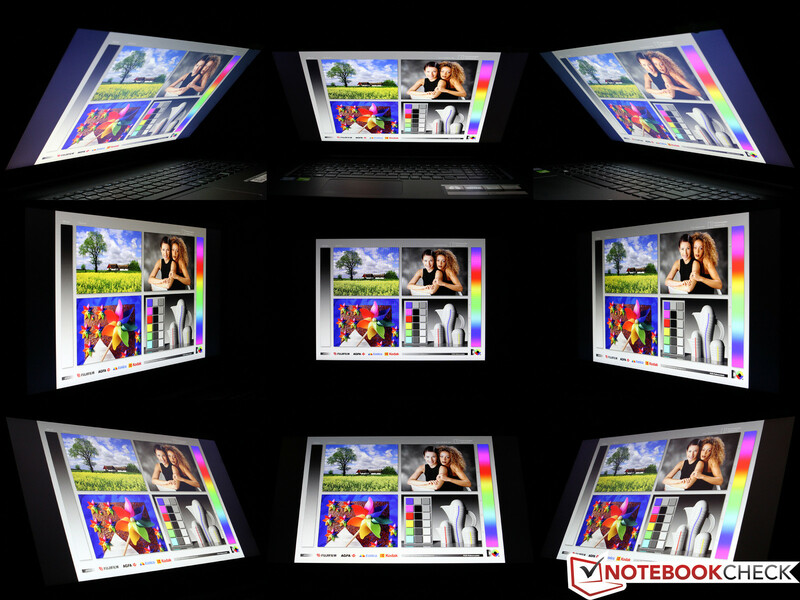 In addition, higher resolutions also increase the power consumption significantly. At about 261 cd/m², the display of the new V17 Nitro unfortunately isn't quite as bright as the predecessor's, which reached 317 cd/m². For the situations one might normally encounter, the brightness is still more than sufficient. 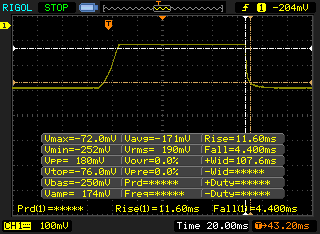 Praiseworthy is the completely flicker-free backlight thanks to the lack of PWM and the decent brightness distribution of the 88 %. 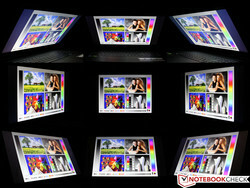 The display is not adversely affected by backlight bleeding or similar issues. Thanks to the IPS technology, the panel from AUO (B173HAN01.0) has an excellent black value of 0.26 cd/m² and a correspondingly high contrast ratio of 1065:1. Subjectively, the display looks more saturated and vivid when compared to competitors like the Asus N751JX, which often use less expensive TN panels. 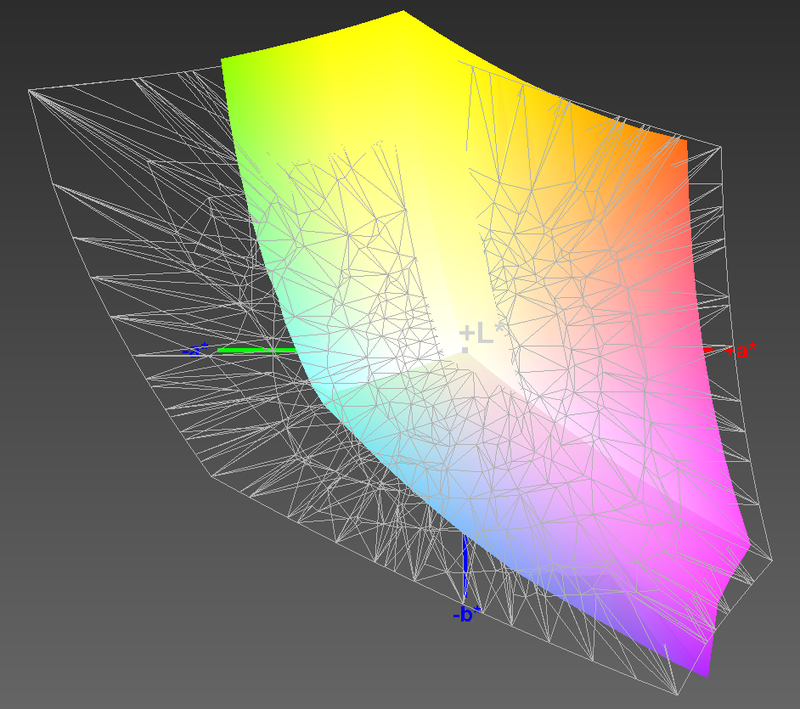 TN screens are capable of four-digit contrast ratios as well - but only if the user views the display at a right angle. More on that later. 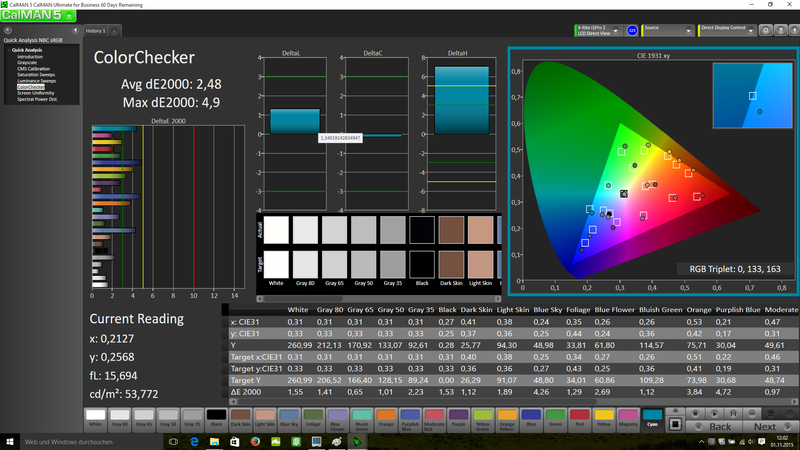 As shipped, the color accuracy is already pretty good as the DeltaE deviations of 3.3 (graylevels) and 3.5 (colors) clearly show. 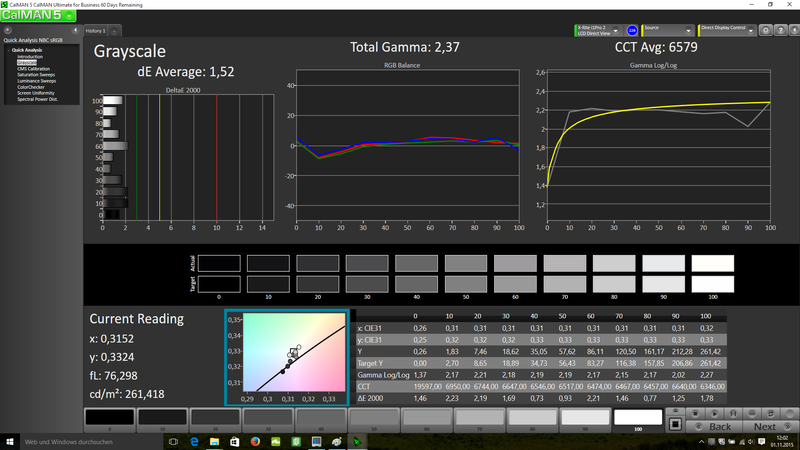 After a calibration, the display improved even more with most DeltaE-values dropping to less than 3.0, which in turn makes (semi)professional photo and graphics editing possible. For such cases, it would be better to use the sRGB color space, since it is nearly completely covered at 94.6 %. 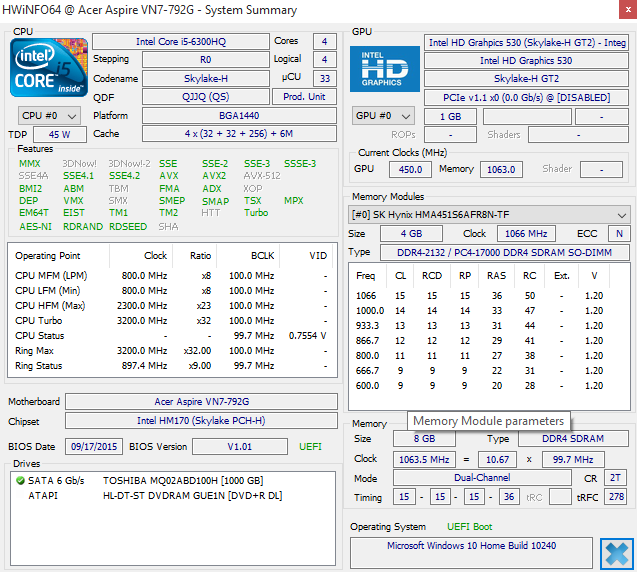 AdobeRGB-coverage is 61.5 % - still quite decent for notebooks. 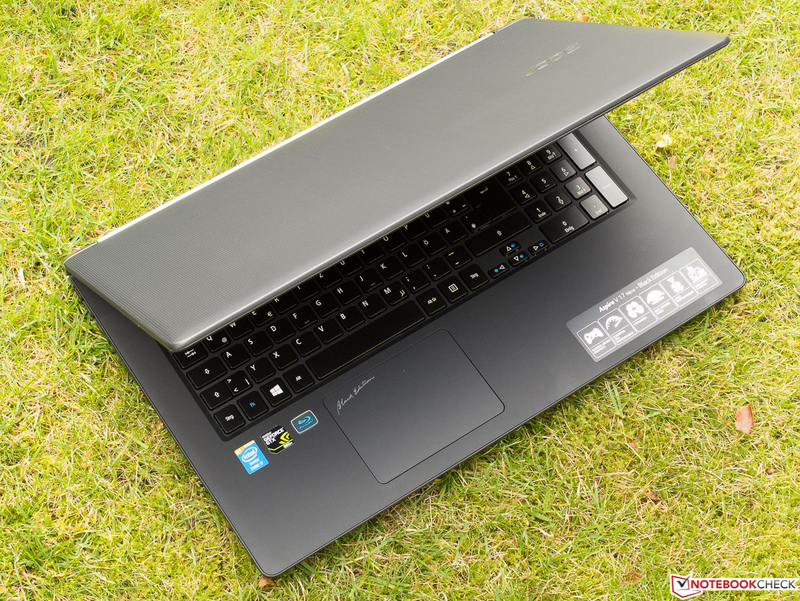 Users who feel the need to venture outside - and who can put up with the considerable heft of the 17-inch notebook - can certainly do so thanks to the non-glare panel and the sufficient maximum brightness. Direct sunlight is too much for the display however and deciphering text becomes very difficult. 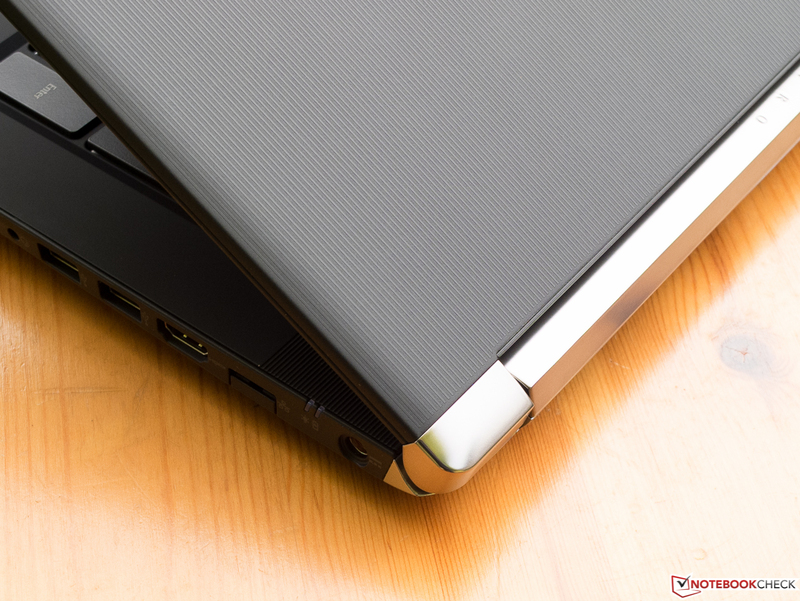 Unlike panels based on TN technology, the IPS display of the Aspire Nitro remains readable from nearly all positions. It doesn't matter if the display is viewed from below, above, or from the sides: both the color and gamma value remain stable for a long time, so more than one user can work together or watch a movie. 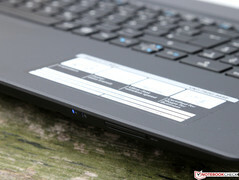 Notebooks with TN panels like the Asus N751 or the MSI GP72 are inferior in that regard. 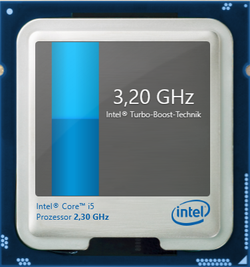 Since the introduction of the Core-series of processors in 2009 ( ("Clarksfield"), only the high-end Core i7s have been available with four cores - but that has now changed. With Skylake, even the more affordable i5 CPUs are quad-cores, although Hyper Threading has been eliminated at the same time. 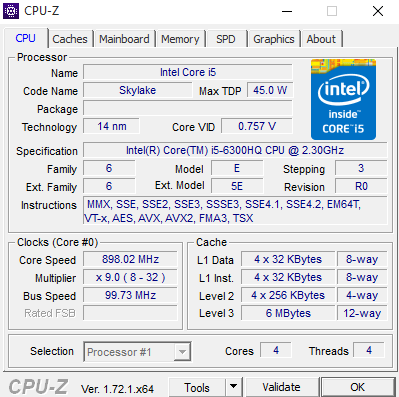 Despite that, the Core i5-6300HQ, which features a base clock speed ranging from 2.3 to 3.2 GHz (4 cores: 2.8 GHz, 2 cores: 3.0 GHz) should be vastly more powerful than the i5 dual-core predecessors. The fact that the 14 nm CPU has a very high TDP of 45 watts tarnishes the favorable first impression somewhat, although the actual power consumption should likely remain way below this threshold. In addition to the integrated HD Graphics 530 (24 EUs, 350 - 950 MHz), the VN7-792G also features a dedicated Nvidia GeForce 945M. Although the name might suggest an amped-up version of the GeForce 940M (GM108-Chip, 384 Shader, 64-bit memory interface), the GPU is actually a downgraded GeForce GTX 950M (GM107-Chip, 640 Shader, 128 bit memory interface). 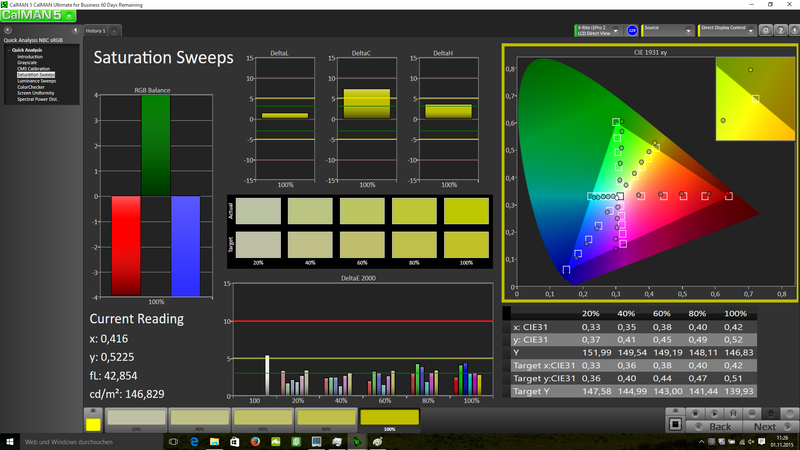 The 945M has one of the 5 Shader-clusters deactivated and now comes with 512 ALUs and 32 TMUs. 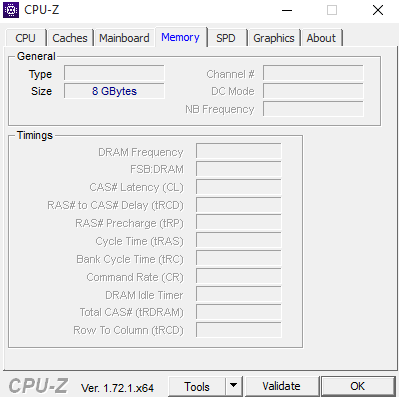 The frequency range is between 928 and 1045 MHz (Boost) for the core and 1000 MHz for the 2 GB of DDR3 RAM (still with a 128-bit interface). Another Skylake-novelty is the fact that the chips can utilize modern DDR4 RAM, which promises higher clock speeds at a lower voltage. Equipped with 8 GB of RAM (2x 4 GB DDR4-2133, both slots occupied) the Aspire should be adequately equipped for the foreseeable future. A 1000 GB SSHD with 8 GB of SSD cache is responsible for the OS and data storage. Let's compare the specs of the Core i5-6300HQ with one of the direct predecessors, for example the Haswell-generation Core i5-4210H: four cores clocked at 2.3-3.2 GHz compared to two cores running at 2.9-3.5 GHz, but with Hyper Threading enabled and capable of handling four threads at the same time. The improved Skylake-architecture should be good for about 10 % performance increase per MHz - but what, exactly, is the bottom line? 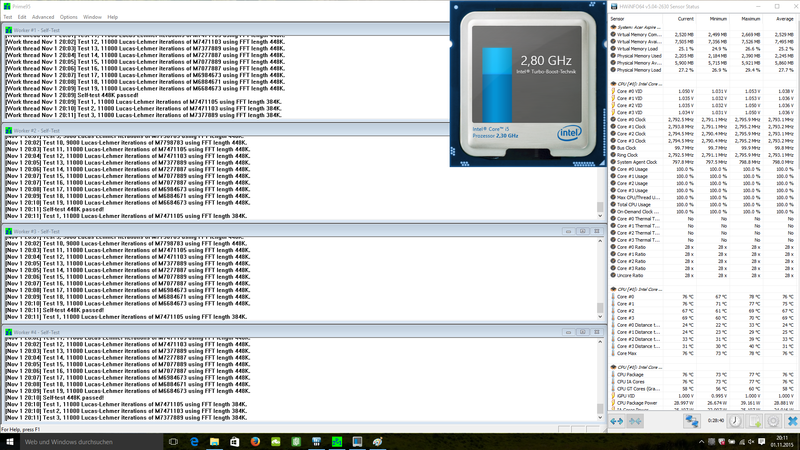 When running sufficiently parallelized software, the Core i5-6300HQ has a performance plus of 40 to 50 % compared to the Core i5-4210H and even manages to threaten some older Core i7 CPUs. 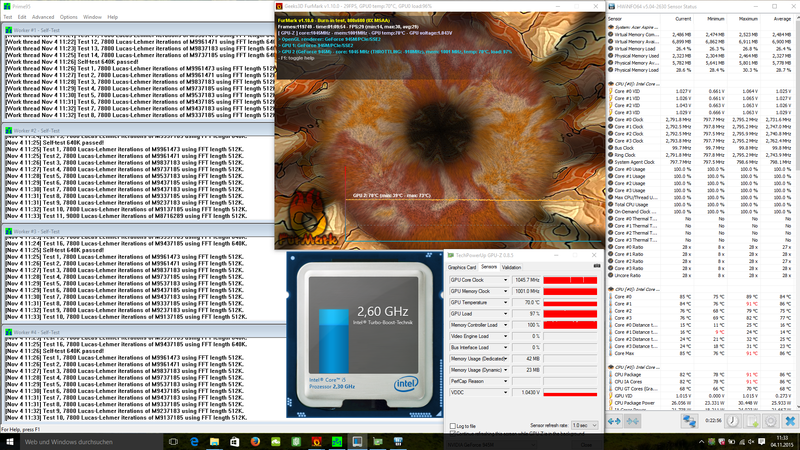 Compared to a current i7-6700HQ, the 6300HQ doesn't stand a chance, but the CPU is still able to outperform the lower-tier Skylake Core i3-6100H by a significant margin. The difference in single-core performance is much less noticeable with a gap of about 15 % between the Core i3 and Core i5 as well as Core i5 and Core i7. In summary it can be said that Intel now has a clear technical as well as performance differentiation between Core i3 (2C/4T), Core i5 (4C/4T) and Core i7 (4C/8T) CPUs. That's only true for the standard-voltage processors however - all Skylake ULV CPUs from Pentium to i7 have two cores and four threads, so the performance is mostly dependent on the clock speed. Thankfully, our review Aspire Nitro doesn't come with a standard hard drive, but a 2.5-inch 1000 GB Toshiba MQ02ABF100 SSHD with 8 GB of SSD cache. An intelligent algorithm transfers frequently-used data to the flash storage automatically, which improves the boot process as well as the startup times of important applications. 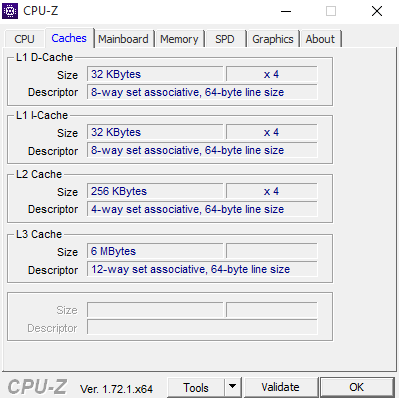 Typical benchmark programs like HD Tune can't really take advantage of the cache, however. 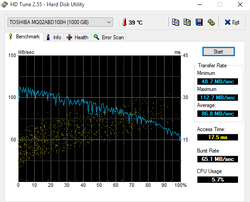 Even so, the drive does pretty well with an average sequential transfer rate of 87 MB/s and an access time of 17.5 ms. 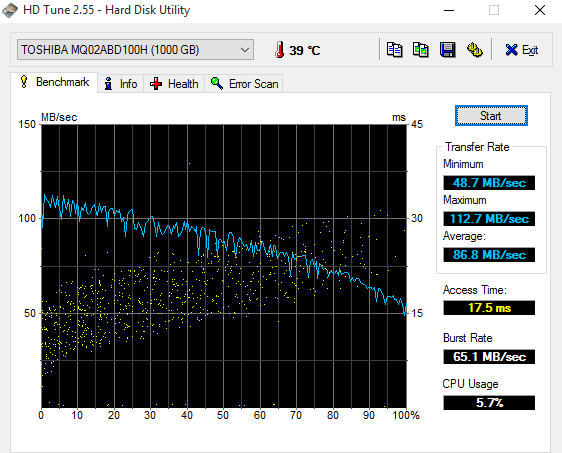 True SSDs are of course significantly faster. 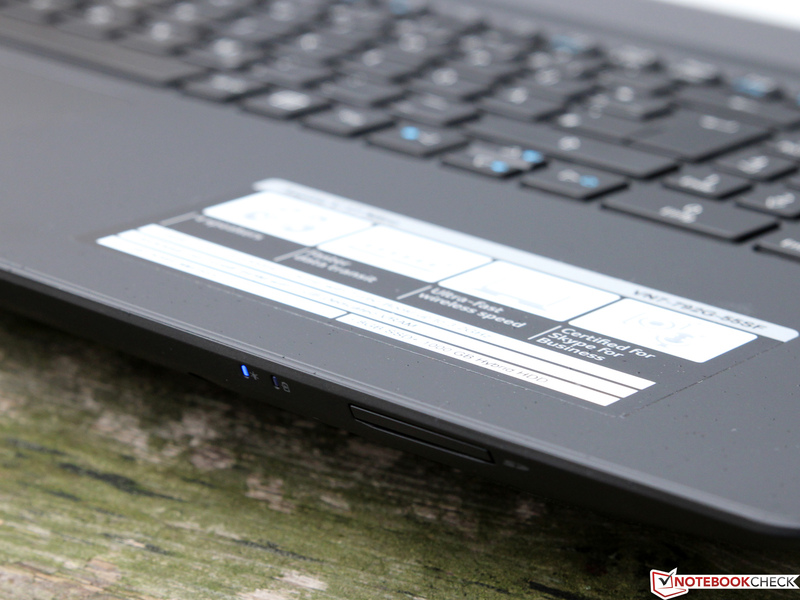 The Aspire certainly manages to take advantage of the SSHD during daily use and doesn't feel much slower than a notebook with a full-fledged SSD. After a cold start, the OS reacts without delay and the browser and file explorer open quickly. More complex applications like games don't profit much from the hybrid technology, since the SSD cache is simply too small. 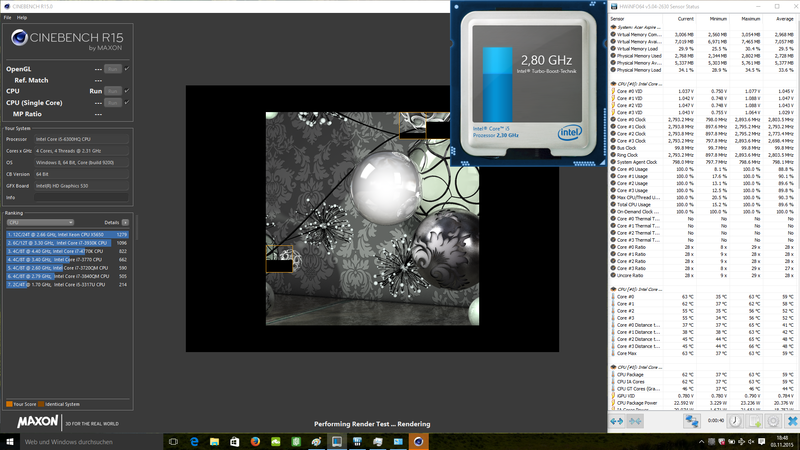 We also want to once again point out the positive contribution of the i5-6300HQ with its excellent single-thread performance and multi-tasking reserves. 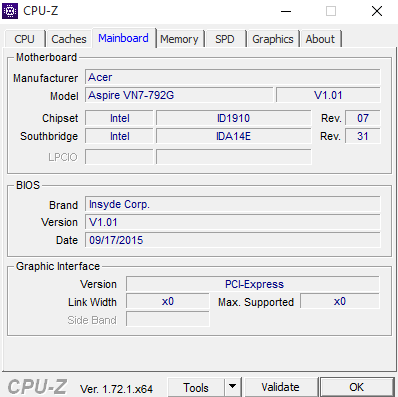 Hardly ever have we seen such a leap between two CPU generations. The new Core i5 CPUs are a true insiders' tip - especially as far as the price-to-performance ratio is concerned. Our subjective impressions is supported by the PCMark benchmark results, since the VN7-792G manages to pull ahead of its direct competitors. 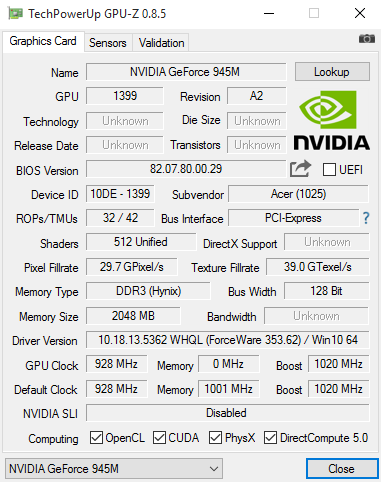 The hardware specs already hint at the fact that the GeForce 945M doesn't trail the GeForce GTX 950M by much and significantly outperforms the GeForce 940M. 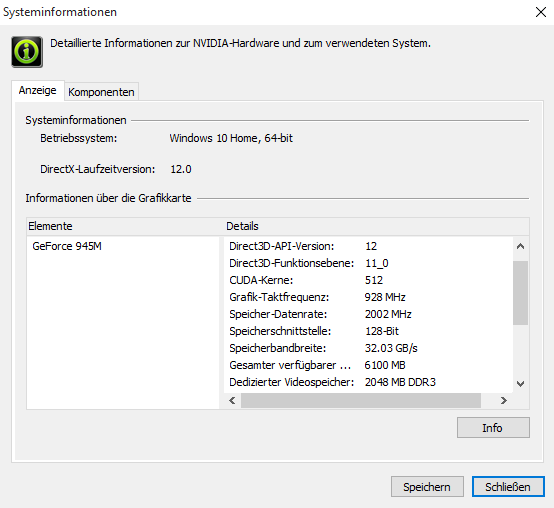 Only the GeForce GTX 960M with GDDR5 RAM is about 50 % faster, which is noticeable when playing games even without the aid of frame-counter software. 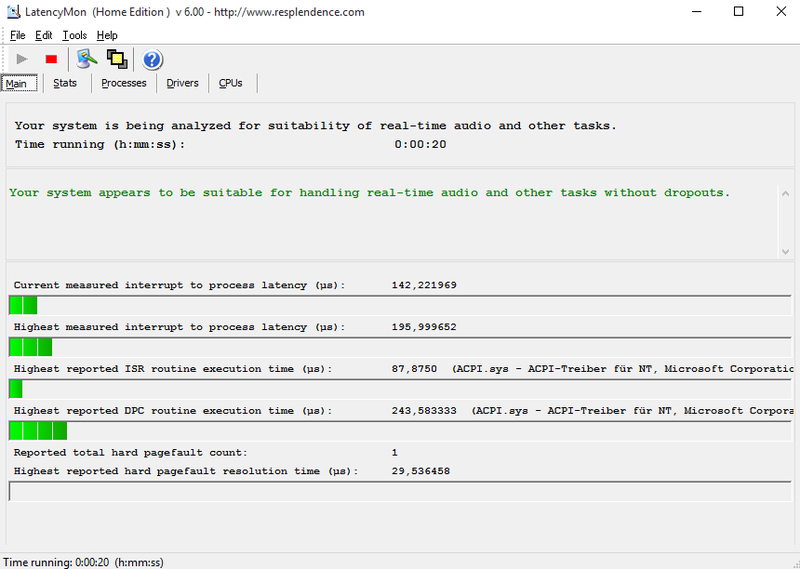 By the way: since Acer doesn't throttle the CPU or the GPU performance when the notebook is running on battery power, users can expect full performance - at least until the battery runs out. The Skylake-CPU integrated HD Graphics 530 (automatic graphics switching via Optimus technology) doesn't stand a chance performance-wise, but is a lot more frugal and comes with a modern H.265 decoder as well. 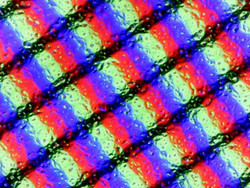 This decoder can handle even 4K videos at 60 fps and with minimal hardware utilization. Our gaming benchmarks confirm the results of the synthetic 3DMark tests and the GeForce 945M once again offers performance close to the level of the GeForce GTX 950M. 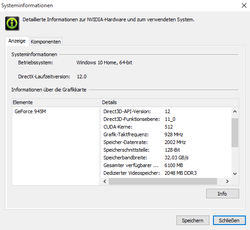 At medium graphics settings it's possible to play most current games fluently at the native Full-HD resolution. 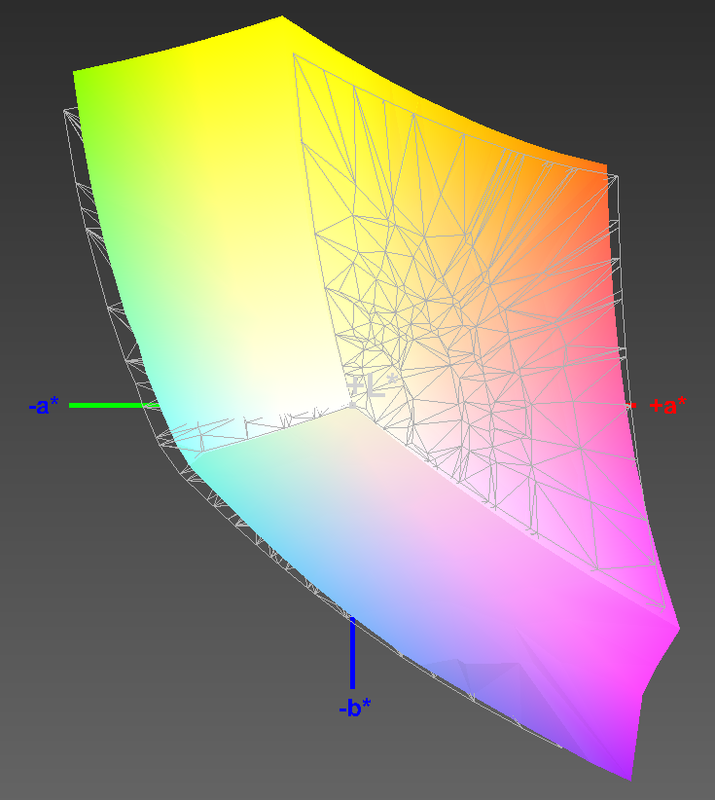 Only really demanding 3D games like The Witcher 3 or Anno 2205 necessitate stepping down to a resolution of 1366 x 768 pixels. 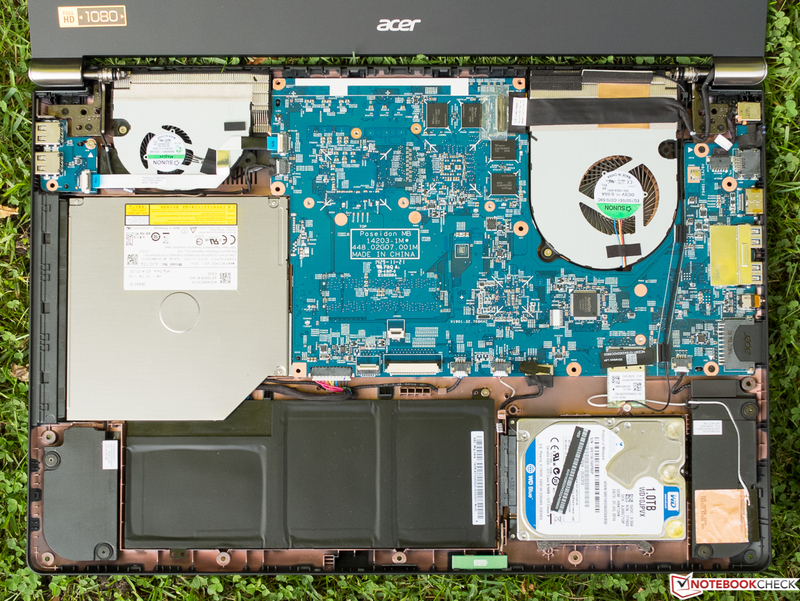 Unlike its competitors, the two fans of the Aspire aren't active most of the time during idle and don't spin up frequently either when the notebook is subjected to low load levels. Aside from the whispering of the hard drive, the V17 is pretty much inaudible. Even more impressive is how the cooling system of the Aspire handles the heat under full load: we measured 33.6 dB during the test with 3Dmark 06 and a still very respectable 38.6 dB when we ran our stress test. Considering the performance this notebook is capable of, these results are pretty spectacular. We didn't like the occasional chirping sounds of the power adapter - although we could provoke them only with various synthetic tools designed to induce system stress. Although the cooling fans are hardly active, they are certainly more than capable of keeping the VN7-792G cool. Even during gaming sessions most areas get barely warm to the touch and we measured around 40 degrees C only at the rear of the notebook in two spots. 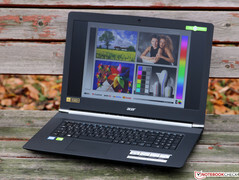 The Aspire can thus be used on the lap without caveats during daily tasks like web browsing or word processing. The Core i5-6300HQ CPU and the GeForce 945M reached a maximum temperature of just above 80 degrees C and didn't appear to be subjected to throttling - quite on the contrary: the CPU was able to utilize the Turbo almost to the full potential at 2.6-2.7 GHz (maximum 2.8 GHz for all four cores), while the GPU maintained the maximum of 1045 MHz. 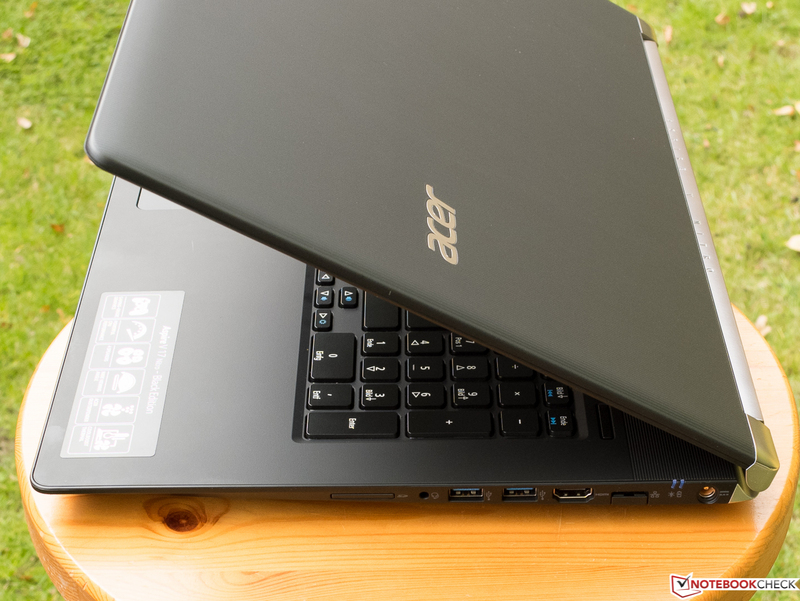 The fact that Acer designed the chassis for even more potent and power-hungry hardware certainly pays off here. (+) In idle usage, the average temperature for the upper side is 27.3 °C / 81 F, compared to the device average of 30.9 °C / 88 F.
(-) The average temperature of the palmrest area of similar devices was 29.1 °C / 84.4 F (-3.3 °C / -5.9 F). Quad-core processor, GeForce GPU and a bright IPS display: a high power draw seems to be inevitable. Thanks to the automatic graphics switching and power-saving technologies, the Aspire is pretty modest and only consumes between 6.4 and 14.1 watts. Compared to previous generations, the results are very impressive and increase our hopes for decent run times. 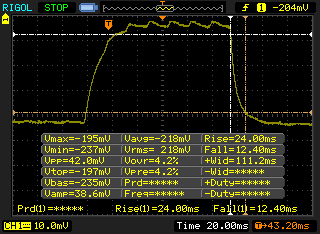 Amazingly enough, the review notebook only consumes between 67.1 and 84.9 watts under load, which is barely more than the sister model VN7-572G with ULV CPU (60-80.9 watts). 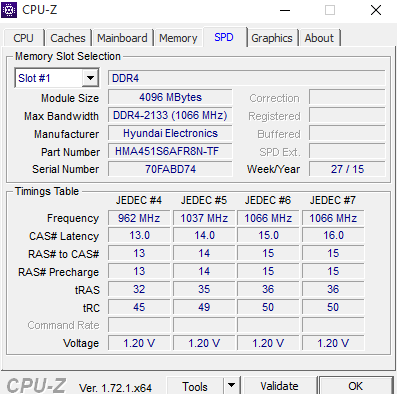 The modest consumption can be attributed to the highly efficient Skylake processor - which remained considerably under its maximum TDP of 45 watts (Cinebench R15 Multi: 23 watts) - on one hand and the fact that the V17 "cheats" somewhat (the battery actually discharges around 10-15 watts during the stress test) on the other. Although the latter doesn't happen when running normal applications or while gaming, it appears that the included 90 watt power adapter isn't fully able to handle the requirements. 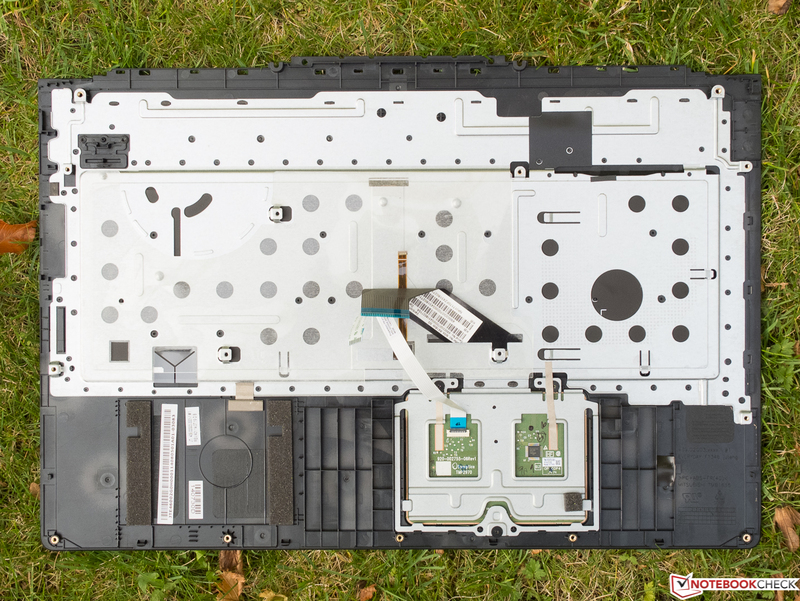 The 52 Wh battery is screwed in and offers a fairly high capacity similar to the other notebooks. Since the VN7 is comparatively frugal, the measured run times actually best the competitors: the V17 lasted a very good 10 hours during the Battery Eater Reader's test (minimum brightness, wireless modules turned off) and a respectable 4 to 4.5 hours during tests that reflect real-world usage scenarios like the WLAN test or the H.264 playback test (both at a display brightness of 150 cd/m²). 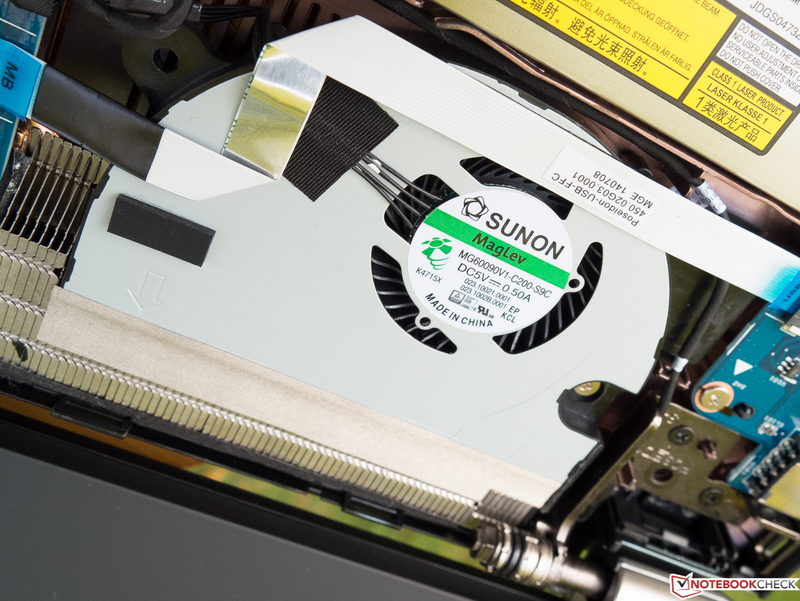 Users who need an even longer battery life should take a look at the 15-inch version, which comes with a ULV CPU and lasts even longer. 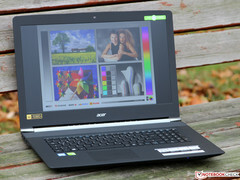 In review: Acer Aspire V 17 Nitro VN7-792G-55SF. 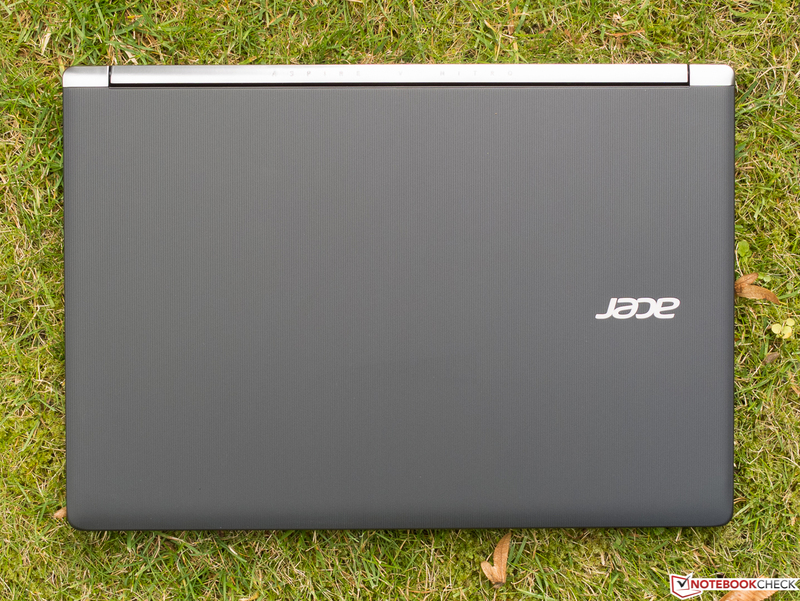 Even the entry-level configuration of the Acer Aspire V 17 Nitro VN7-792G is extremely impressive and there's not much we can find to criticize. The quality of the chassis and the input devices is top-notch considering the price of 1000 Euro (~$1080 and the Full-HD IPS display is one of the most impressive in its class. Even the connectivity options - with the USB Type-C port (only USB 3.0 speeds, however) among them - leave nothing to be desired. 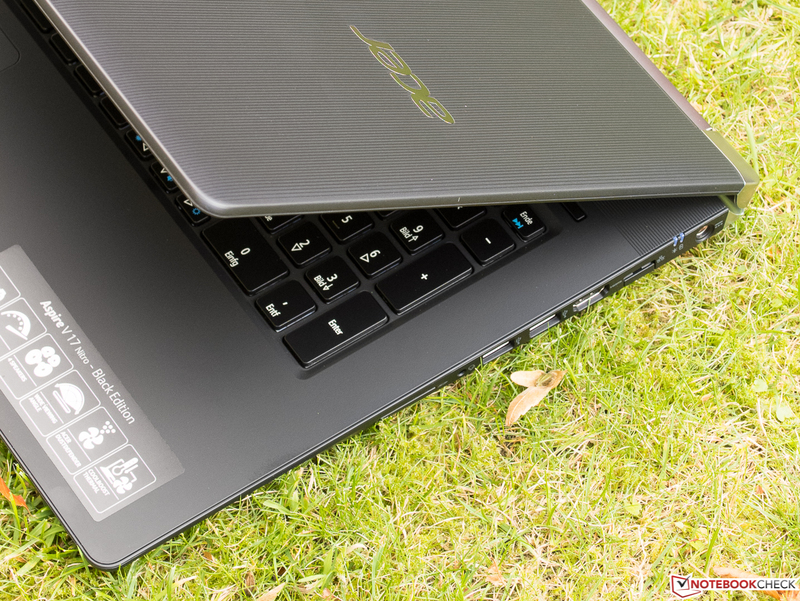 The combination of the hardware components works exceptionally well and even without an outrageously expensive Core i7 CPU and an Nvidia GTX-series GPU, the notebook can handle demanding applications and current games without getting either hot or loud. That the Core i5-6300HQ doesn't support Hyper Threading and the fact that the GeForce 945M is essentially a pared-down GTX 950M might be noticeable when running synthetic benchmark tests, but the daily performance doesn't suffer much. 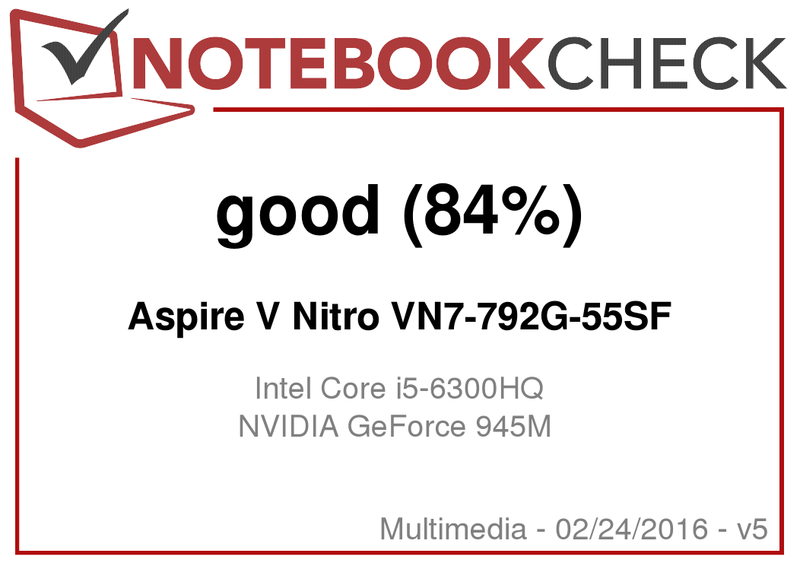 Overall we can only recommend the Aspire Nitro - and not just our review notebook VN7-792G-55SF. Other configurations - for example the Black Edition with Thunderbolt 3 support and GTX-960M (optionally with a 4K display) – should pose a formidable challenge for the competition. Stay tuned for a future review.